HomeYeast InfectionYeast Infection Remedies That Work! Have you tried everything to stop the itching and burning in your privates? Or maybe you have white or yellowish spots on your tongue? It just keeps getting worse and it’s getting to where it’s affecting your daily life. What can you do to get rid of this constant irritation and deal with your yeast infection symptoms? These are less noticeable due to the fact that they are fairly common and often associated with other illness or conditions. You need to find yeast infection remedies that work, and work quickly to relieve you of these dreadful symptoms. To better understand what it takes to cure a fungal infection (yeast is a fungus,) let’s look at the cause of a yeast infection. You are covered in germs! Literally! You are a delicate ecosystem of “good” and “bad” bacteria and germs. They live on and in your body and have since you were born. And will till you die. It’s the balance of these germs that makes your life able to continue in a normal fashion. These are just 2 of the major systems that are affected by your floral balance. The problem comes if that delicate balance is upset. 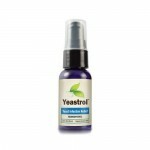 If the bad germs flourish for any reason then you end up getting sick, and thus the need for yeast infection remedies. The particular culprit for a yeast infection is the fungal cell known as the Candida albicans (most of the time.) If that is the bad germ that flourishes, than you likely have a yeast infection. These are three of the main reasons why C. albicans might be flourishing. There are several things you can do to treat a yeast infection. Most people will do what they normally do when symptoms of an illness show up, they will start with home or Over the Counter (OTC) yeast infection remedies. That’s where we’ll start. The range of home yeast infection remedies is wide indeed. From practical hygiene methods to the outrageous, you will need to evaluate the yeast infection cures, and try your choice only after you know it’s safe and effective. Which yeast infection remedies you choose will be up to you, but as always you should consult your physician before beginning any medical regimen. Which yeast infection remedies work for you may be a method of hit and miss, found through trial and error. It’s OK to start with those things which you can do from the comfort of your home, but if the infection and irritation don’t get better, then you may need to get medical advice, or even prescription strength help. Just be sure to take your yeast infection remedies like you’re told to, as fungus sometimes takes a while to heal. 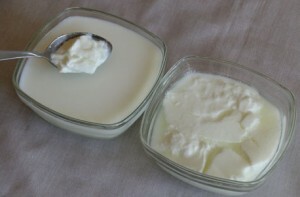 Buttermilk can be used as a home remedy for yeast infection. C. albicans is the cell responsible for bacterial vaginitis. Yeast infections can affect both men and women. Flexoril is one of the yeast infection remedies. How to Treat a Yeast Infection What are some Signs of a Yeast Infection? Symptoms of Yeast Infection: Can’t Make Biscuits Out of This Stuff What is a Yeast Infection? Do you think it’s possible to totally avoid prescriptions for this if you do all the at-home remedies, even if you already have a pretty bad yeast infection? I suppose it’s worth a shot at first. Great information about all the options here. Jeanine I think you can try any of the home remedies you are both knowledgeable and comfortable with. Be.sure to consult a physician with any questions or concerns. Thanks for the thoughts.